Samsung’s previous bid at 2-in-1 laptops, especially Notebook 7 Spin, wasn’t received very well. The laptop that was last updated in 2016 was quite unlike other 2-in-1 machines — it had a 15-inch screen and was peculiarly high-specced for a portable laptop, with a 12 and 16GB RAM options, Core i7 CPU, and even a dedicated GPU. 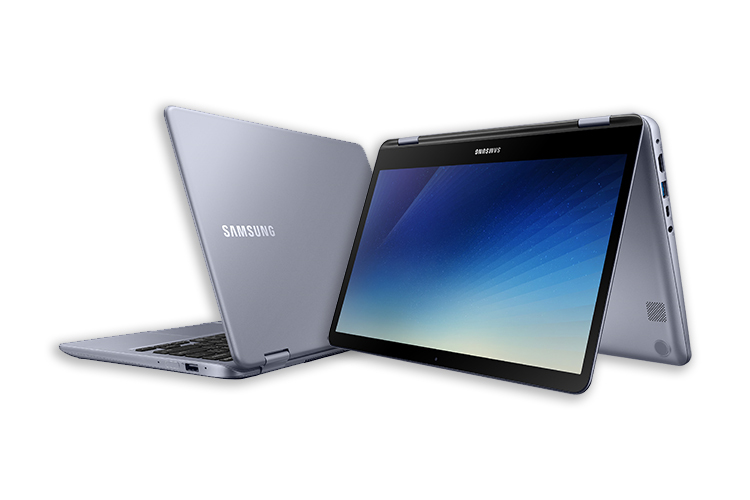 Well, the tech giant seems to have taken its lesson and has now released an updated Samsung Notebook 7 Spin 2-in-1 laptop with toned-down specifications, a fresher and sleeker metal design, and eighth generation Intel i5 processor. The refreshed Notebook 7 Spin now has support for stylus input along with the predecessor’s ability to rotate the screen 360-degrees. 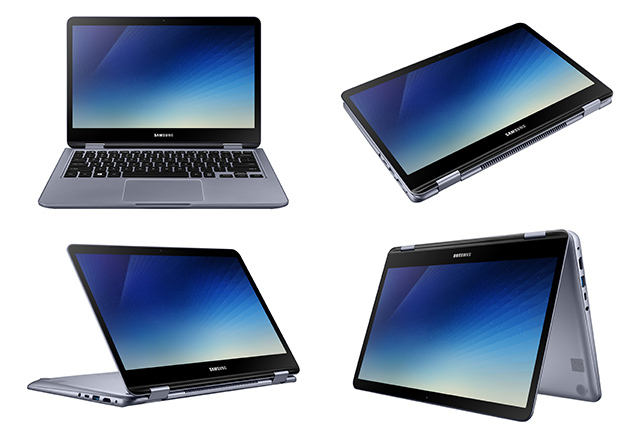 The Samsung Notebook 7 Spin (2018) comes only in one display size i.e. 13.3-inches with a Full HD resolution. It is powered by 8GB of RAM and the presence of a 256GB SSD lend a powerful hand to all applications. The battery has been slightly bumped up to 43Wh and with all the shaving down, it is expected to last much longer than on the previous model. The updated Spin laptop has a fingerprint reader which is compatible with Windows Hello for a seamless log-in experience. While Microsoft’s Precision Trackpad drivers give a boost to accurate pointing, the keys on the backlit keyboard have a great-sounding travel distance of 1.5mm. You can also take voice notes with specialized far-field microphones and easily store them to Samsung Cloud. A key highlight of the laptop is support for Samsung’s proprietary “Active Pen” stylus that will add convenience for digital artists or heavy note-takers. Buyers will, however, have to shell some extra bucks for the Pen which is sold separately. In terms of connectivity, Notebook 7 Spin (2018) features USB Type A (with one USB 3.0 and another USB 2.0) and Type C alongside HDMI. The 2-in-1 Samsung Notebook 7 Spin (2018) laptop running Windows 10 will be available in the USA within this quarter and Samsung is likely to reveal the pricing at CES 2018 that is expected to be on the lines of the previous version which began at $800.